In the ad campaign that’s, arguably, more popular than most Australian TV shows, Rhonda and Ketut are back – but who will she choose? The next instalment of the Rhonda and Ketut love saga has been released and things appear to be getting a little more serious. After a huge social media campaign that put the fate of Rhonda’s love life in the hands of the Australian public it appears the people have spoken. AAMI today released the spot online, which is set to hit TV screens Sunday evening. The video is aptly titled, ‘Rhonda decides’. 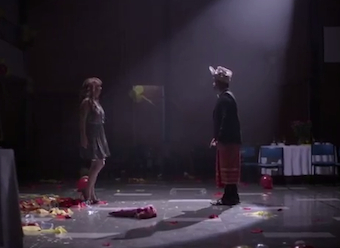 So does this mean it’s happily ever after for Australian advertising’s golden couple?